The latest version of Reebok’s popular CrossFit Nano has just been released, and it seems to be the most advanced so far. 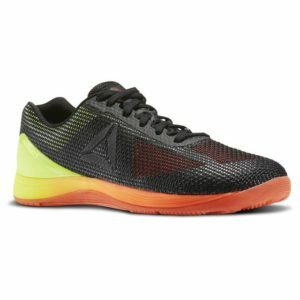 The Reebok CrossFit Nano 7.0 is a shoe that’s described as “created by crossfitters, for crossfitters.” This latest iteration of the popular Nano comes in at a surprisingly affordable price of $129.99 USD. It’s currently available in three different colors. The flagship style that’s been used in most promotional material is Vitamin C. The sole of the shoe has a unique gradient, going from light yellow to a fiery red near the very bottom. The black near the top is a very nice compliment to the colorful combo of the sole. The two other versions are nowhere near as bold, one opting for a light blue and the other a more reserved all white style. The entire upper part of the shoe consists of NanoWeave technology. This tightly bound fabric combines durability and breathability. 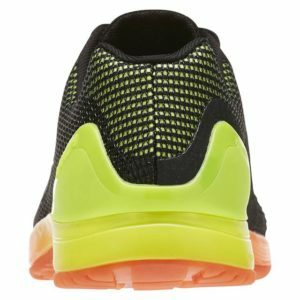 The heel is reinforced with a 360-degree TPU heel wrap, something very important in any shoe designed specifically for CrossFit. Even with all the reinforcements, the new Reebok CrossFit Nano 7.0 hasn’t forgotten about comfort. 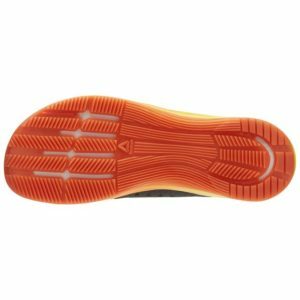 The shoe uses rubber outsoles and an Ortholite sock liner for cushioning. A few of the first users of the Nano 7 have complained that it’s more narrow than previous versions, so you may want to consider purchasing a half size larger just to be safe. Overall, the new Reebok CrossFit Nano 7.0 is a better, sleeker version that would be a worthwhile purchase for anyone who is active and seeking a high-quality shoe. The three colors cover a wide range of styles, and it’s priced competitively. It’s very difficult to find any negatives in the CrossFit Nano 7.0, and it will be interesting to see how Reebok continues to develop this popular line of shoes.